If you're looking for a great chilli recipe with depth of flavour, smokiness and oomph, this is it. It has a real kick, with a deep smoky flavour from the chipotle in adobo sauce (find it in the supermarket's Mexican or cook's ingredients sections). 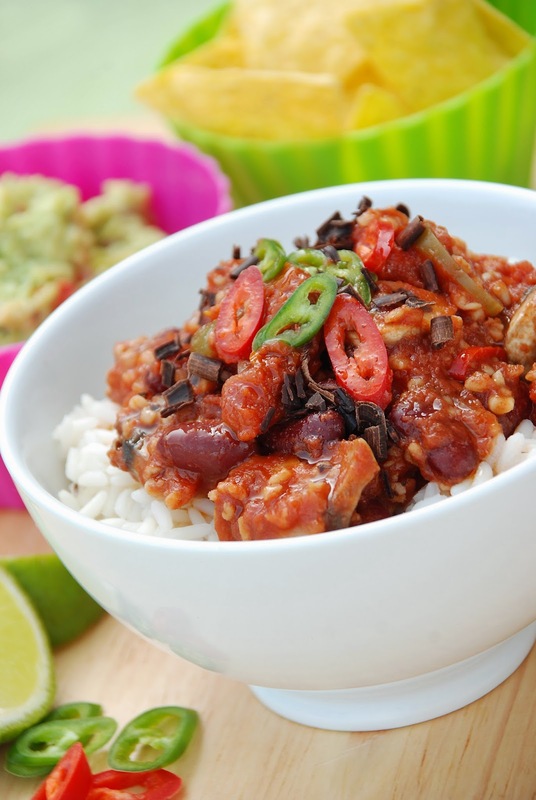 Serve the chilli with rice or jacket potatoes, and yummy guacamole and salsa on the side. To get a head start on future meals, make double and freeze half. 1. Fry the onions gently in a large pan for 5 minutes, then add the garlic and spices. Cook for 2 minutes. 2. Add all of the remaining ingredients, other than the jalapeno chillies. Simmer for 20 minutes. 3. Add the jalapenos just before serving, and grate some dark chocolate over if desired. Serve with rice or over jacket potatoes, salsa and guacamole on the side. 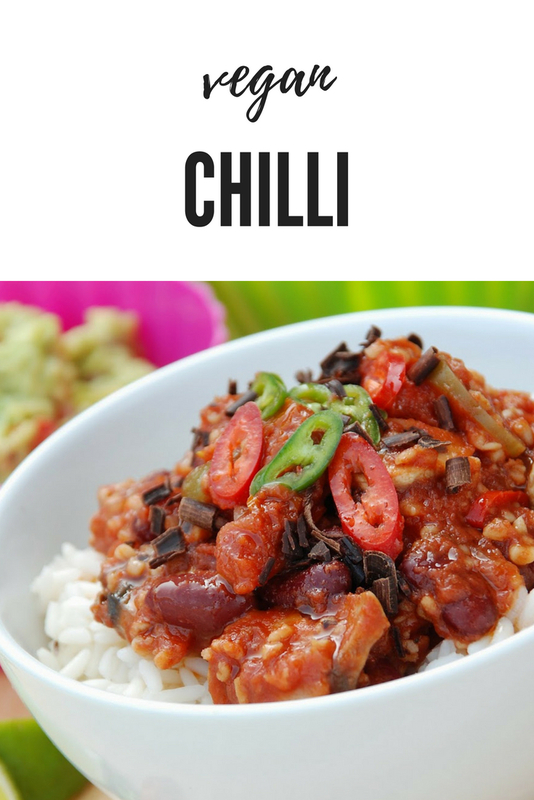 Fab idea to add the chocolate to the chilli, so many great flavours in one dish. Must try your recipe! Vegan Chilli sounds a great idea. That looks so yummy. I would love to try this. Thank you for sharing this recipe. Oh wow that sounds like a lovely rich satisfying veggie dish.